Ivory Consignment is Louisville's first-ever secondhand pop-up event for women. Keep scrolling to learn more about shopping and selling at an Ivory Consignment event. 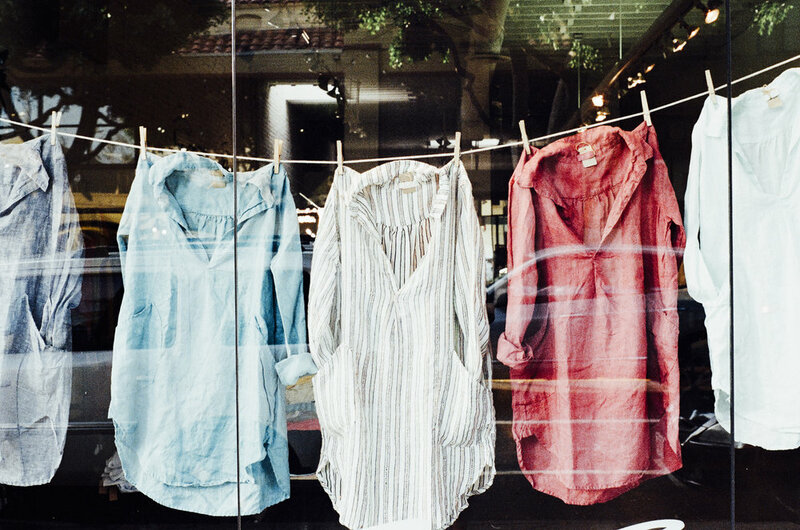 Consignment is the best way to refresh your closet without losing out on the value of your clothes. To consign with Ivory, simply create an account, price and tag your items, and drop off your inventory at the Ivory event. You'll receive 60% on your items that sell and receive back (or choose to donate) your unsold items for free. Read more about how consigning works below. Before contacting us with questions, check out our FAQ here. Sellers pay a small $15 fee to participate as a consignor in Ivory Consignment pop-up events. This covers proprietary costs like rent, equipment, and labor. Not every piece of clothing is meant to be resold. Ivory Consignment holds its sellers to a high standard and only accepts current, gently-used, name brand items. Review what's acceptable here. Ivory Consignment sellers take care of their own prep and pricing. That means you press, hang, price, and tag your own items and bring them to the venue. Check out our prep and pricing protocol here. When you consign at Ivory Consignment events, you're only responsible for dropping off and picking up your items – unless you want to shop, too! Bookmark those important dates here. One of the best parts of consigning is getting to shop EARLY! That's right — sellers enjoy a private pre-sale the night before our public sale. Don't forget to read over our best shopping tips here. Consignors who sell at Ivory Consignment events take home 60% of their profits — which is 500% more than what most local shops pay. Read more about how sellers get paid here. 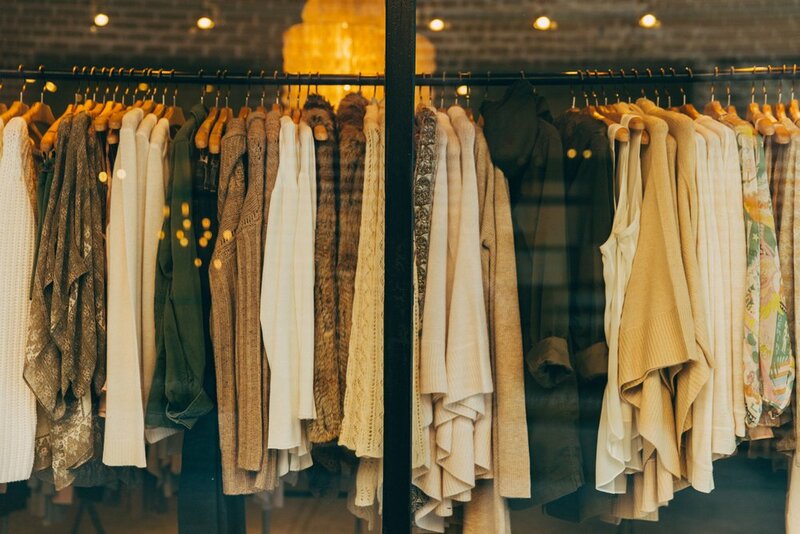 When you shop at Ivory Consignment, you'll find discounts and inventory rivaling shops and sites such as Margaret's Consignment, Clothes Mentor, Poshmark, and ThredUp. Imagine name-brand labels at prices so low you'll be leaving with your arms full and wallet happy. *Entrance is free to shop regular sale times. Cash and credit cards are accepted! Allow enough time to get through the event. There will be a TON to look through! Leave your coat and heavy belongings in the car so you can be as hands-free as possible. Wear a cami for an easier dressing room experience. Leave yourself (and your budget) open to finding treasures. If you love it, get it. Items sell fast! Saturday, March 23 10 a.m. - 8 p.m.
Popular consignment options leave you with as low as 10% of the original retail price of your clothes, shoes, and accessories. Ivory Consignment allows you to take home up to 80% of what your fashion originally sold for. Join our email list to learn more about our upcoming events and how you can sell your fashion. Copyright © 2018 Ivory Consignment. All rights reserved.